We all need a little glamour in our lives - that shiny moment to add sparkle to the day. 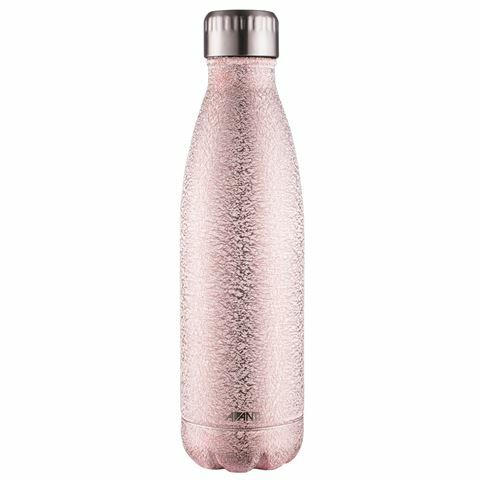 Well look no further than the Rose Gold Glimmer Double Wall Bottle. It's like running around with a disco ball in your hands. Only this one is also practical. Crafted from 18/8 stainless steel, it will keep drinks cold for 24 hours or hot for 12 hours. You could take a few sips during your morning commute and still enjoy the rest piping hot at your desk. Now that's simply dazzling.